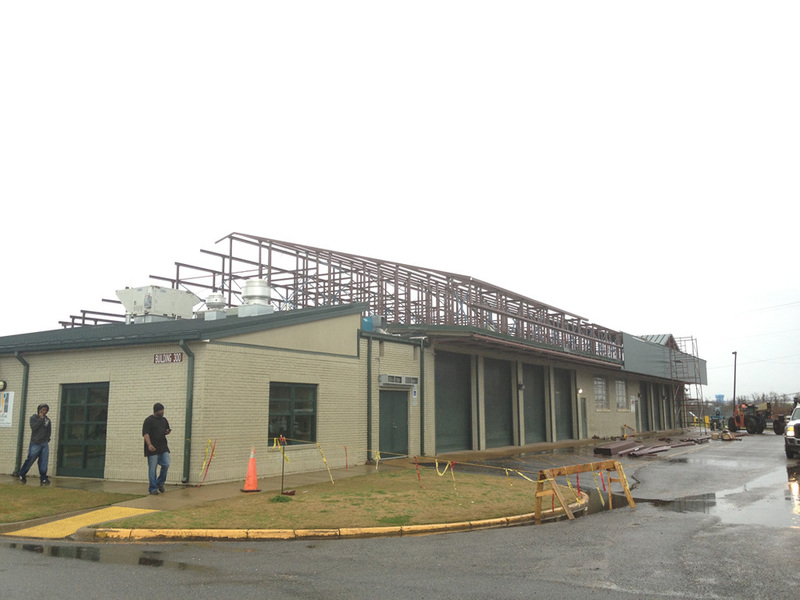 We received (under budget) bids this morning to construct a sloped metal retrofit roofing system on the former Automotive Building at Gadsden State Community College's Ayers Campus in Anniston. The College has retrofit a number of older flat-roofed buildings on the campus, and this project will continue that investment. Rendering of retrofit metal roof and new entrance canopy to be constructed in this project. We are pleased that bids were received from 6 of 7 pre-qualified general contractors, and that the low bid was substantially (22%) under budget. Aho Architects is also pleased that the average of all bids received is also under budget (by 2.8%). This is consistent with our historical cost estimating performance which is around 2% under budget. Aho Architects is also honored to be GSCC's architect for a complete interior renovation of the same building, under a separate project with construction starting next week. This renovation will convert the structure into a new home for GSCC's electronics programs on the campus. Aho Architects also designed renovations for electronics (robotics, electronics, process logic controls, etc.) on GSCC's East Broad Street Campus. That project is featured here on our website. 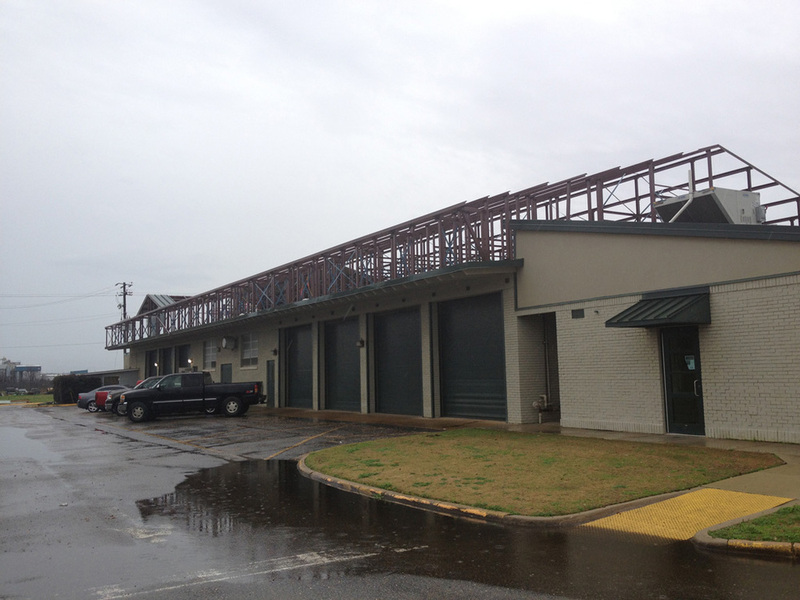 Alabama Roofing & Sheet Metal Co., Inc.